The HRMS Hurricane Destroyers and Hurricane Alley Robotics Teams participated in the FIRST Tech Challenge (FTC) Competition on Saturday, February 2 at the Military Magnet School in Charleston, SC. 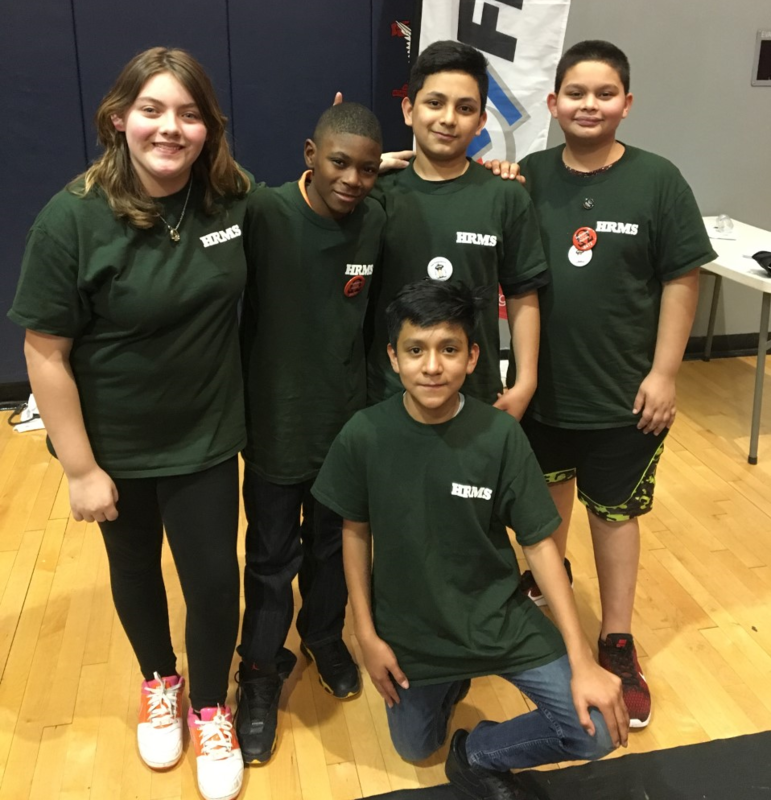 This is the first year HRMS Robotics Teams have participated in FTC competitions and both of our rookie teams, comprised primarily of 6th graders, rose to the challenge. At the end of the competition, Hurricane Alley ranked in the top 12 teams and qualified to participate in the State Championship on February 22-23 in Gaffney, SC. Team coaches are in the process of raising the funds needed for the team to attend the State Championship. Expenses include the registration fee, travel, food, and lodging for 5 students and 3 adult coaches. Donations are welcomed and can be presented to Mrs. Martinez (HRMS Office Manager) or Mrs. Holman (HRMS Front Office Receptionist). Please note on the envelope and check that the donation is for the Robotics Team.